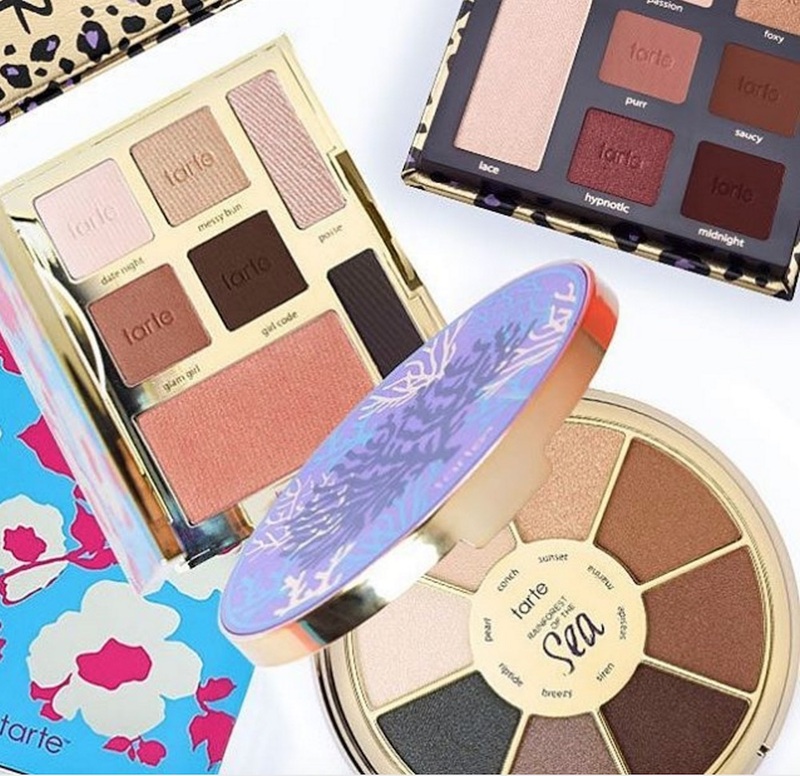 If you’re currently in the market for a new palette full of dramatically-toned glistening cheek and eye shades, you’re in luck, because Tarte Cosmetics just shared swatches of their limited-edition Happy Girls Shine Brighter Eye and Cheek Palette. The swatches presentation looks like a luxurious nod to the Illuminati. The sneak peek of the new limited edition palette from Tarte Cosmetics features six cool-toned eyeshadows and one long-wear blush swatched in a series of triangles, so you can pick the shade that best represents your glowing identity. Do you prefer an eyeshadow that screams Beyonce Illuminati conspiracy theory or Katy Perry Illuminati conspiracy theory?! Or you could buy the palette and live out both glamorous conspiracy theories. All secret society jokes aside, the seven shades in this new palette offer up a rich world of colors that give you the tools for both fresh day looks and dramatic night looks. 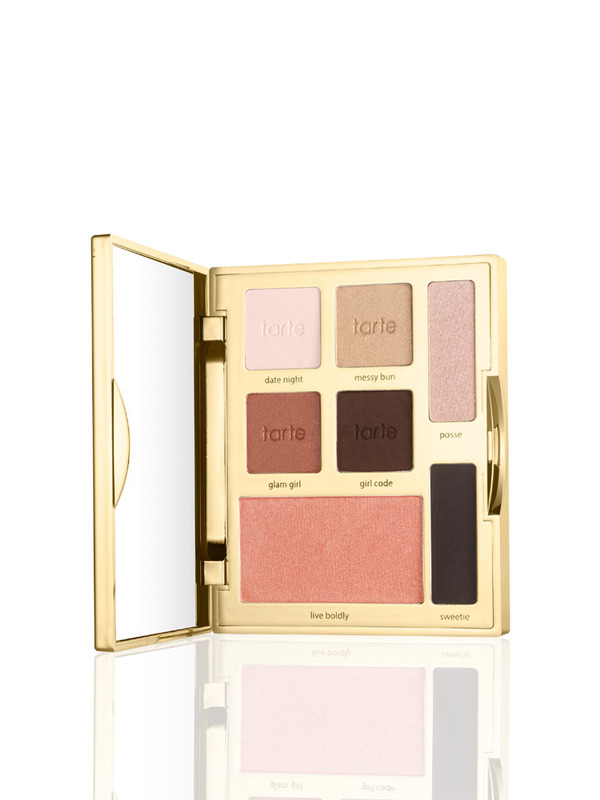 The colors in the palette include: Date Night (shimmery white), Glam Girl (a light raspberry), Posse (a translucent pink-white), Live Boldly (raspberry tinted blush), Messy Bun (a gold tan shade), Sweetie (a midnight black), and Girl Code (a deep brown). In keeping with their line of values, the palette is completely cruelty-free. You can buy the Happy Girls Shine Brighter palette directly from the Tarte Cosmetics website for $29, and shine bright like a diamond.